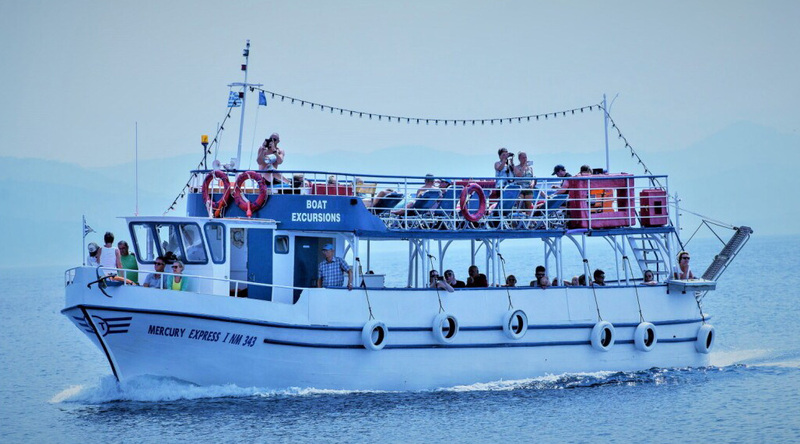 Spend a whole day on a traditional Greek wooden boat, while passing by seaside places of unique beaches and swimming in crystal clear waters (which can only be reached by boat) or visit nearby villages. Since 1990 it has done daily excursions. Enjoy the sun on the upper deck Sun lounge or stay in lower area for shade. Fully restored in 2018 it offers both comfort and safety. Mercury complies with all the required EU safety standards. All life jackets are easily accesible. Fire extinguishers, first aid kit, life rings, rafts & flares are all inspected by the Hellenic safety inspectors. Private arrangements are available on request.